2017 marks the 14th year of the Mill Casino’s annual Mill-Luck Salmon Celebration. This free, family-friendly event takes place from 10 a.m. to 5 p.m. on Saturday, Sept. 9, and from 11 a.m. to 4 p.m. on Sunday, Sept. 10, at The Mill Casino Hotel & RV Park. The event features a traditional salmon bake, native drumming, dancers, canoe races, arts and crafts and more. The salmon will be baking from 11 a.m. to 5 p.m. on Sept. 9, and from 11 a.m. to 4 p.m. on Sept. 10. Meal tickets are now available for pre-purchase at Ko-Kwel Gifts: $25 for adults and $12 for kids younger than 11. While supplies last, attendees will receive a free Salmon Celebration T-shirt with each ticket purchased before the event. Meals also may be purchased at the celebration: $17 for adults and $12 for kids younger than 11. 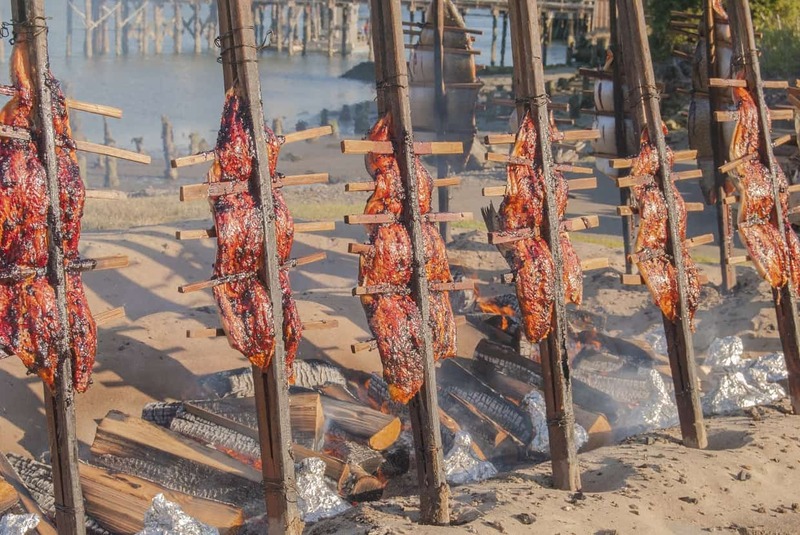 As attendees savor their salmon, they may enjoy hands-on cultural demonstrations in The Mill Casino Hotel & RV Park south dock area and south parking lot. At the dock, canoe races may be viewed from 10 a.m. to noon on Sept. 9, and canoes will be in the water for public rides and exhibition from 11 a.m. to 2 p.m. on Sept. 10. Prizes and awards will be presented by the Coos Basin Salmon Derby Committee to derby winners at 4 p.m. on Sunday evening. This event is an action-packed educational opportunity for the whole family! Celebrate Coos Bay’s Native-American traditions. 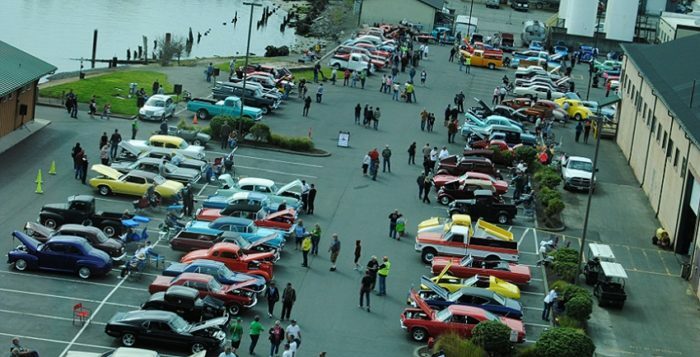 The Coos Bay-North Bend Rotary Club will be hosting a “Cruz the Coos” car show and car cruise on Sept. 15 and 16 as part of the Bay Area Fun Festival. Guests at The Mill Casino Hotel & RV Park who will be participating in the event will receive group rates of $125 in the lodge, $135 in the tower and $35 in the RV Park. Early registration for this free event will open at 5:30 p.m. on Friday, Sept. 15, at The Mill Casino hotel entrance, and a dance party, featuring the band Done Deal, will be open to the public from 7:30 p.m. to 10:30 p.m. in the Salmon Room. Attendees must be 21 or older. Registration for the event will be open from 8 a.m. to 10 a.m. at the Mill Casino hotel entrance on Saturday, Sept. 16. Festivities begin at 11 a.m. with a Show N’ Shine in the south hotel parking lot. Over the course of the day, “Cruz the Coos” participants will make their way to downtown Coos Bay, and line up for public viewing at 6 p.m. Guests can register for the “Cruz” and “Show N’ Shine” at The Mill Casino Hotel & RV Park, at www.cruzthecoos.com, or by contacting Steve Schneiderman at 541-297-0091. With his career in entertainment lasting more than three decades, Jay Mohr is known for his work as a comedian, actor, radio host and best-selling author. Jay has been performing stand-up comedy since he was 16, and Comedy Central named Mohr one of the 100 greatest stand-up comics of all time. He adheres to three simple tenants for each performance: No notes, no two shows are the same, and no picking on the audience. Mohr performs twice at The Mill Casino, at 6 p.m. and at 8 p.m. on Sept. 23. General admission tickets are available for purchase in the Ko-Wel Gift Shop for $20. Mill Club members will receive a $5 discount.